Due to popular demand we are bringing back Oktoberfest to Petersfield! 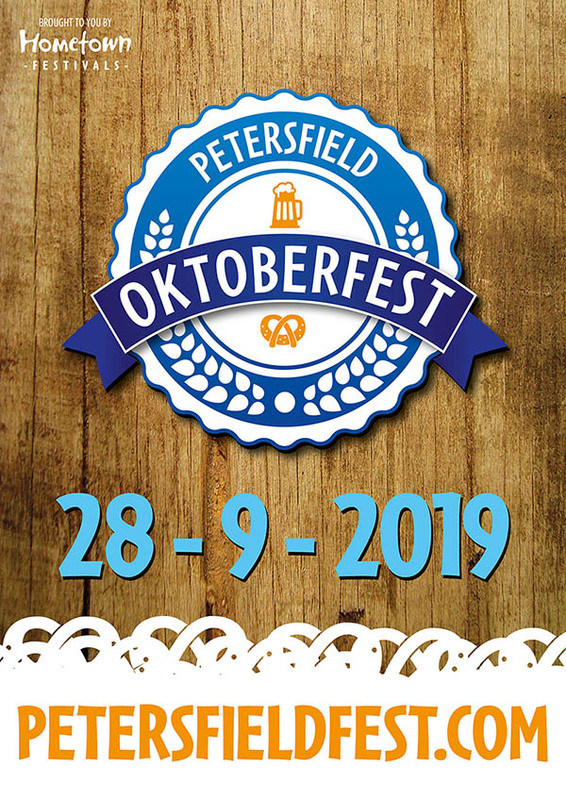 The second Petersfield Oktoberfest will take place on Saturday 28th September 2019. As per the awesome 2018 event, expect the full Oktoberfest atmosphere, lots of beer, bench tables, dressing up, steins, sausages, table service and oompah! All the elements to make our very own awesome Oktoberfest Petersfield style party! For one day only, Petersfield Festival Hall will be transformed into a Petersfield Oktoberfest beer hall with traditional theming, bench tables with our awesome team providing table service with both men and women decked out in authentic Oktoberfest dress, one of the UK's best oompah bands providing the musical entertainment as well as the traditional tastes of Oktoberfest with German beer, pretzels and sausages for all! Making things even easier, we will include your first stein with your ticket price so you can arrive and get your drinking hat on from the start. Entry to each session will be only £24.00 per person for 5 hours of unadulterated Oktoberfest fun and authentic German beer drinking. To ensure your session is as fun as it can possibly be, surround yourself with friends, who will no doubt join you dressing up in traditional costume, and book a table of 8 for your party. If you cannot fill a table then please book as many seats as you would like in the non-allocated seating area (shown in grey) comprising of nine benches and these will be filled first-come first-sat on the day! To see a layout of the hall before buying your ticket, PLEASE CLICK HERE.